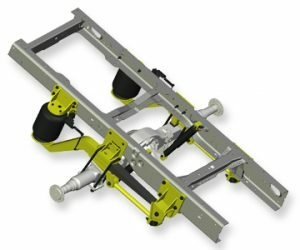 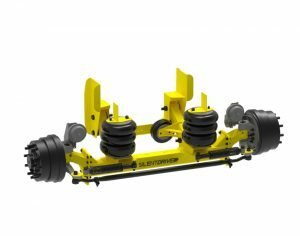 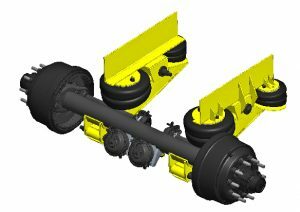 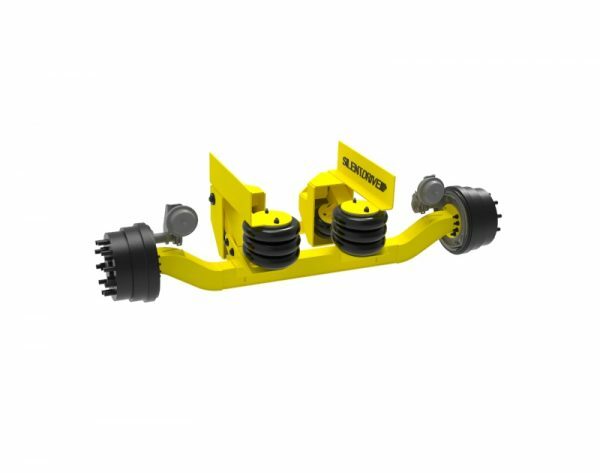 The AA-230-FA has an axle capacity of 13,200 lbs and utilizes a fabricated non-steer axle. 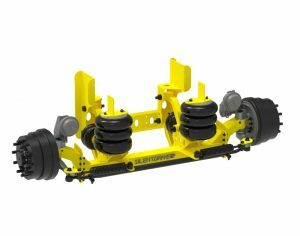 When lifted, the top of the axle beam is 6 “ below the bottom of the frame. 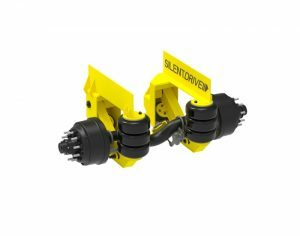 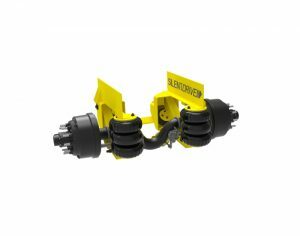 This suspension is available in a 1.5″ and 3.5″ drop, allowing a ride height from 9″ – 13″.